Roxette is hot in Sweden again; album enters chart at #2! You don't like Mondays??? Well, Roxette certainly do! 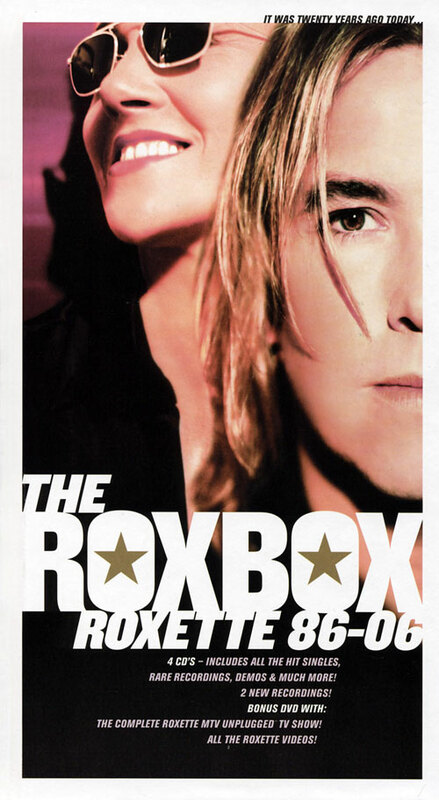 Starting Monday October 30 (and continuing until Xmas) Roxette.se will give you the opportunity to listen to some extremely rare Roxette demos, straight from Señor Gessle's hidden vaults. Now you can vote for Roxette's best video ever at TV4.se. Six finalists have been chosen during the last six days. Roxers! Go to TV4.se and vote for your favorite Roxette video. Three videos will be shown every day this week and the six finalists will be shown next Tuesday. There are no plans for a Roxette tour within a forseeable future. However, as a celebration of Roxette's 20th anniversary Swedish radio P3 will broadcast one of the last Roxette-concerts. "Listen to Your Heart," written by Per Gessle and Mats Persson, and published by Jimmy Fun Music (all STIM), was named Song of the Year and received one of the organization's highest accolades, the Robert S.